That’s the question we are being asked by a local borough, seeking to help us make the most of the summer, and getting us back on our bikes! We applaud initiatives that creatively encourage bravery and the fun in cycling. 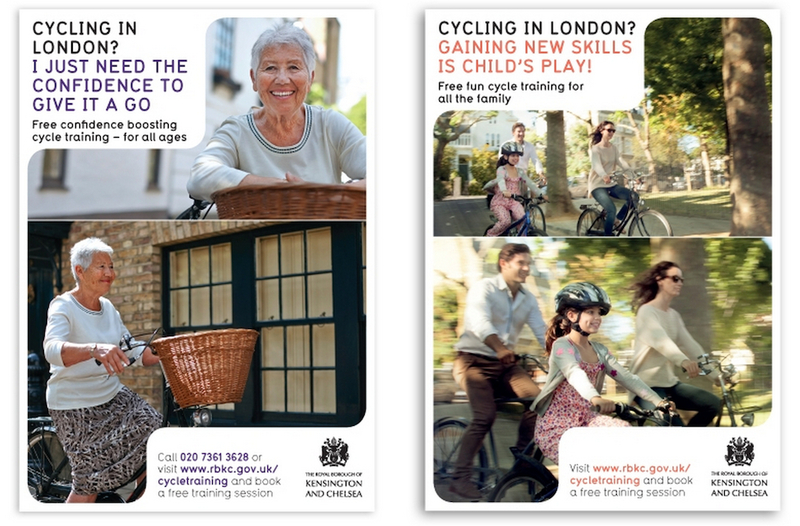 The Royal Borough of Kensington and Chelsea have been making the most of the sensational weather to promote the benefits of cycling for the ‘faint or foreign hearted’ amongst us. Through a range of courses (levels 1,2, and 3!) 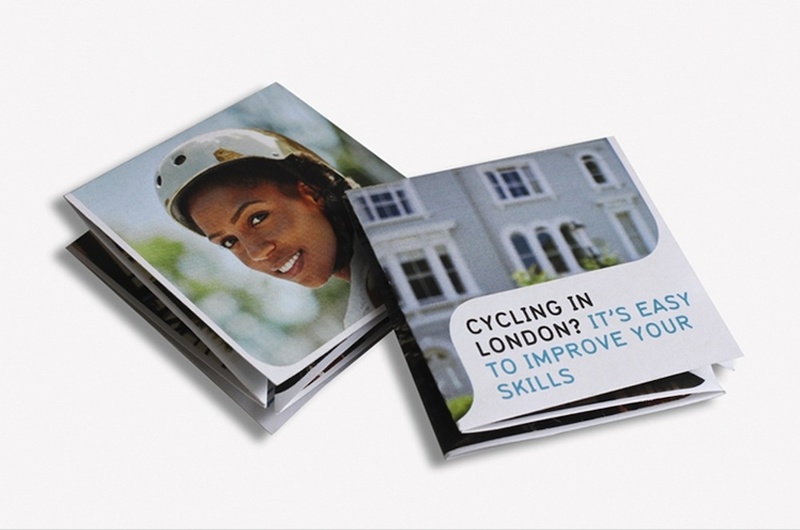 that promise to boost confidence, street and route knowledge, to family skills, there is something here for everyone. 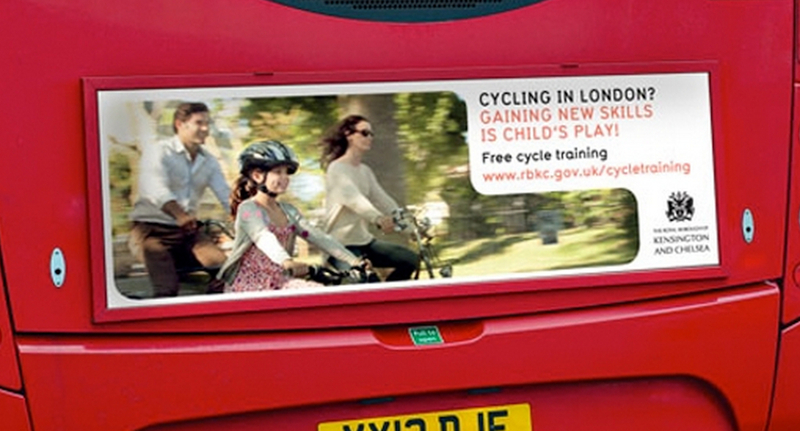 Their marketing is excellent and far-reaching; with images of riding in the sunshine amongst happy everyday people . Beautifully designed, their promotions are found in many modes to catch the imagination of the K&C public, and visitors too. 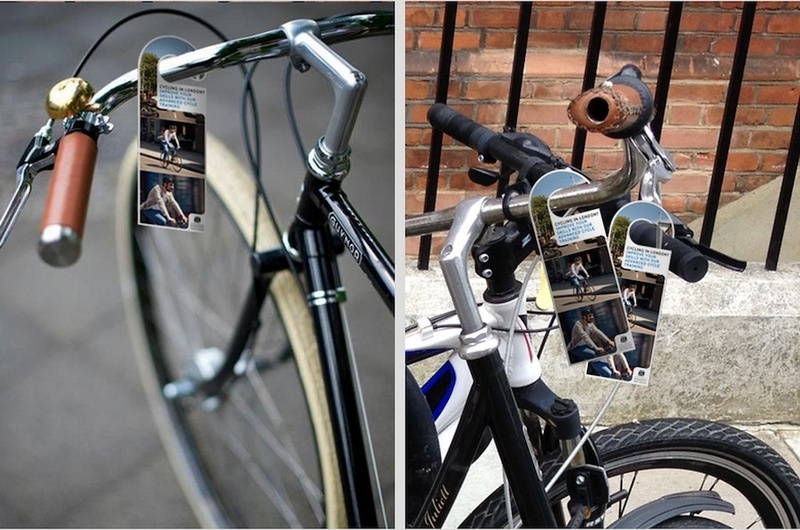 From novel handle-bar hangers, brochures, bus shelters and on the back of local buses – all of which eye-catching and encouraging. The photographs capture people enjoying their journeys, being confident and for the most part riding safe. For all it’s effectiveness and undoubtedly brave attempt at promoting cycling, K&C, and their designers at BEAM give the impression that it’s okay to ride without a helmet – which it is. It is afterall, our choice, and the reality is, not everyone wears a ‘lid.’ However, many of us work in schools or hospitals, and very often, the helmet is on the handlebars, rather than on the child’s head when they come to school. Why? Besides the obvious, stylistic hair-concerns, and constant peer-pressure, when children are asked why they don’t wear a helmet, it’s usually because their ‘heroes’ – their parents and guardians don’t wear a helmet. Ask any child whose parents don’t grudgingly wear lids, but instead, look cool and happily don them, and you’ll find a happy child who doesn’t think twice about wearing a helmet. K&C and Beam are making an impact to how we look at urban cycling. Their designs, and services behind them are solid and will help many get back on their bikes. Additionally, they run Bikeminded, an excellent website that promotes the right kind of attitude and initiatives for all ages. I just wished they would also be brave enough to encourage residents and visitors to wear the right head gear. What do you expect your children to think when you make them wear a helmet, but you don’t?